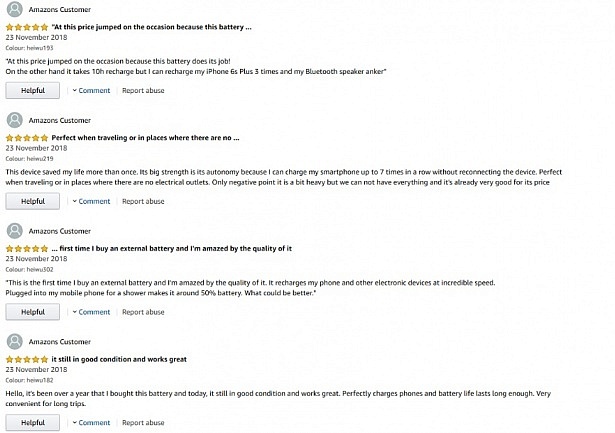 Concern over fake reviews on Amazon.co.uk took a bizarre twist after hundreds of five-star ‘customer’ reviews of a phone charger suddenly appeared on the site. 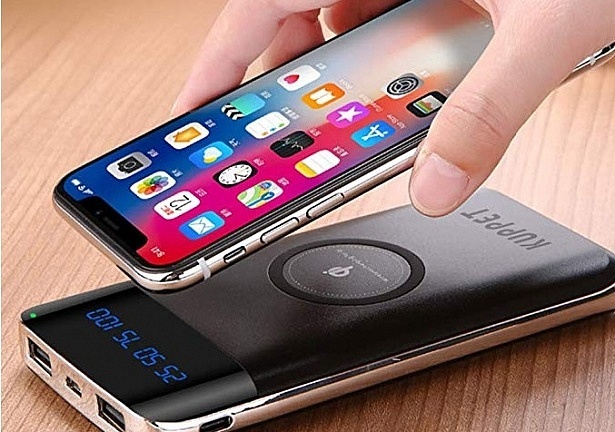 Reviews singing the praises of the Kuppet Wireless Charger Power Bank – being sold by a third party – were uploaded in several batches of around 350 at a time, on different days late last year. Many were seemingly copied from reviews of other chargers on Amazon. A Which? member alerted us to the issue and took a screenshot showing how several negative reviews of the product had vanished. Despite these red flags, the charger was awarded ‘Amazon’s Choice’ towards the end of last year. Mr Holland became suspicious after taking a closer look at the page. He contacted Amazon and was given a refund, but he told us that his concerns about the product’s reviews were not addressed. When we contacted Amazon in early January, approximately 700 highly suspicious reviews of the charger remained on the site – and had been there for nearly a month. The suspicious reviews have now been removed, and the product is still available alongside verified reviews. We spoke to online shopping analyst Tommy Noonan from ReviewMeta website, which analyses the authenticity of reviews. 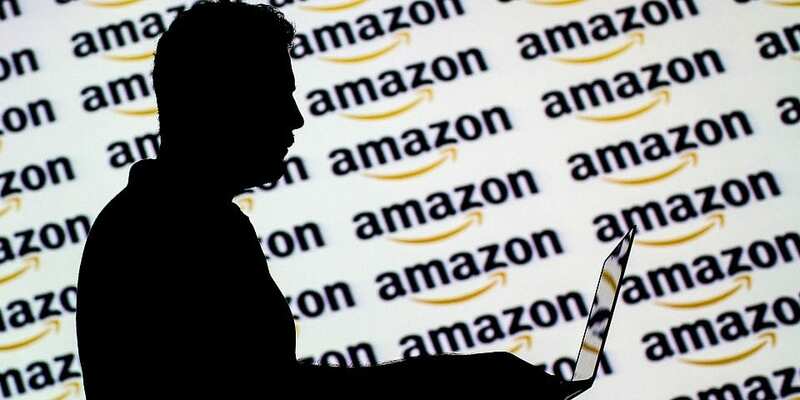 He said he thought the unusual events could be explained by the seller manipulating the Amazon ‘variations’ feature, which allows sellers to group together similar products, which differ only in size or colour. Noonan speculated that hundreds of artificial colour ‘variations’ were created for the Kuppet charger, allowing ‘customers’ to give five-star reviews to each one. Screenshots of the page support his hypothesis. In addition, he said he thought that negative reviews could have been made to disappear if the seller removed certain variations from the product page. We were unable to find contact details for Kuppet, the makers of the charger featured in this story. We believe the manufacturer is based in China. In December, we exposed a cottage industry offering Amazon.co.uk customers compensation for fake reviews. Our undercover researcher made contact with fraudulent Amazon sellers through Facebook, where they were offered full refunds for tech products in exchange for positive reviews. Our researcher wrote a two-star review for a pair of headphones. This did not go down well with the seller. After a frank exchange on Facebook messenger, the researcher was not awarded a refund. 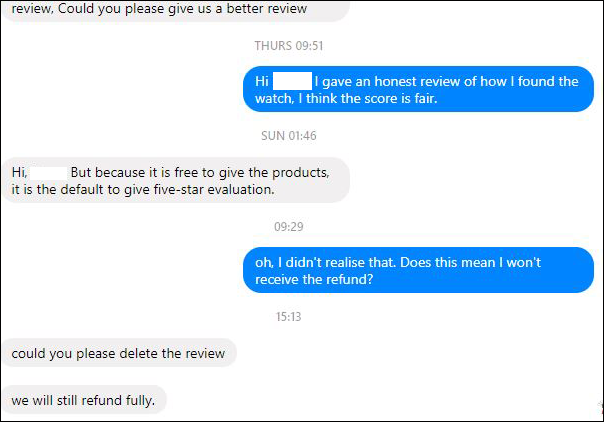 The practice of offering refunds in exchange for positive reviews is a particular concern because such reviews appear on Amazon as a ‘verified purchase’, which common sense would suggest is a mark of trustworthiness. Our investigation found that a network of Facebook groups, with names like ‘Amazon UK Reviewers’, connects sellers with people willing to write fake reviews. Just seven of the groups had a combined membership of more than 87,000 people. In November, we revealed how more than 30,000 reviews of home and tech products were removed from Amazon in the previous two years – many we suspect of being fake or incentivised reviews. The figure of 30,000 is almost certainly significant underestimation. 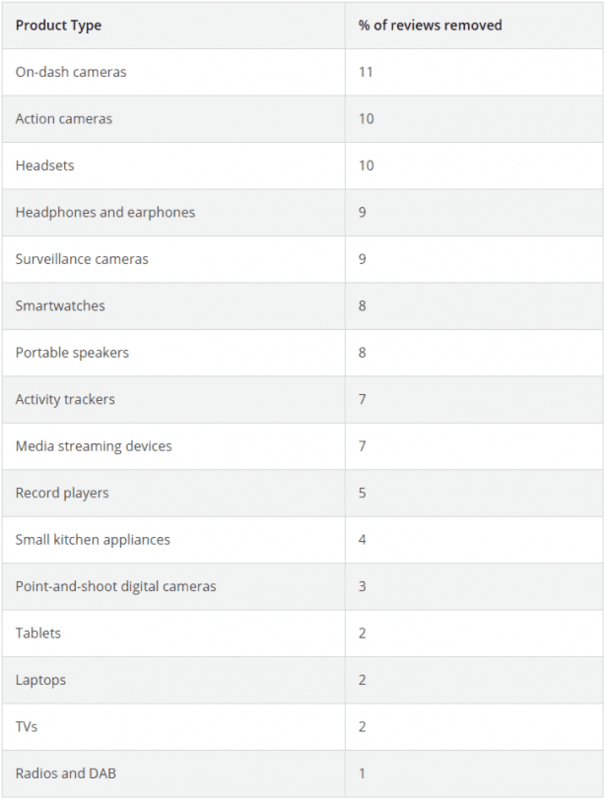 However, the deleted reviews we were able to track enabled us to draw comparisons between different product groups to identify which were the most – and least – trustworthy. We found that at least 11% of reviews for on-dash cameras were deleted – more than for any other type of product. Our research also found a higher proportion of deleted reviews in categories containing more products with brands our experts hadn’t heard of. This suggests that fake reviews are largely being written for obscure challenger or imitation brands rather than industry heavyweights with established reputations. Amazon told us it does not permit reviews in exchange for payment or other compensation. Get more tips on how to spot fake reviews with our in-depth guide.